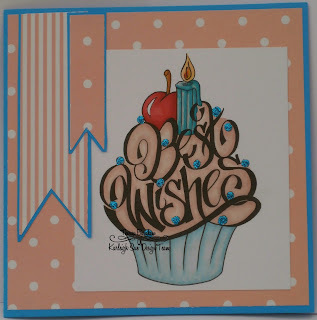 I used papers from my stash, and added some blue stickles to the sprinkles. Just love the pretty colours and design.The blue sparkles are a lovely touch.Fabulous card.Thanks for joining us at Craft Your Passion.Hope to see you again next week. This stamp is fantastic! Thanks for joining in at Love to Scrap Challenge blog...good luck!